A precedent setting judgment was recently handed down on 15 March 2019 by the High Court of South Africa, Gauteng Division, Pretoria in the matter of Joseph Emmanuel Jose & Another v The Minister of Home Affairs & Others Case No: 38981/17 (Jose matter). This is a matter in which our Pro Bono & Human Rights Practice has long been fighting for justice for two young brothers (our clients) denied the opportunity to apply for the citizenship to which they are entitled under s4(3) of the South African Citizenship Act (Citizenship Act). Section 4(3) is a provision which was introduced into the Citizenship Act on 1 January 2013 by way of the South African Citizenship Amendment Act (Amendment Act). It makes provision for individuals born in South Africa (SA) to foreign parents who have not been admitted to the Republic for permanent residence, and who have lived in the Republic from the time of birth until obtaining the age of majority, to apply for citizenship. Despite the passage of a number of years since the coming into force of s4(3), the Department of Home Affairs (DHA) has failed to put in place the necessary administrative arrangements for people who qualify for citizenship under this provision, to make the necessary applications - including promulgating the necessary application forms - thereby rendering it all but impossible for those eligible to do so, to apply. In 2014, after being faced with the realisation that their refugee status was being withdrawn as part of the Angolan repatriation process, the brothers (born here in SA of Angolan refugee parents) pursued every avenue to regularise their stay in SA including obtaining temporary study permits to enable them to finish their schooling. 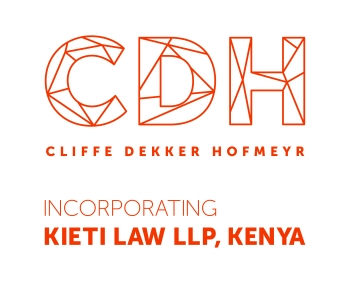 After having been advised by a legal NGO that they were in fact eligible for citizenship under s4(3), and armed with a letter from the relevant NGO, our clients approached the DHA for assistance in applying for citizenship in terms of the above provision. They were turned away by the relevant officials, who advised that because “they were Angolan” they weren’t eligible. Our Practice agreed to assist the brothers after learning about their plight at a refugee clinic that we help staff, and made applications on their behalf by way of affidavit. But our attempts to assist them in this manner were thwarted by the DHA which failed to respond in any meaningful way to the applications. As a result, the brothers were eventually forced, with our assistance and that of counsel from the Johannesburg Bar, to bring a Court application to enforce their rights. The primary relief sought by the brothers was that the DHA’s failure to make a decision in their applications be reviewed and that the Minister be directed to grant each of them citizenship in terms of s4(3) of the Citizenship Act. The DHA put up a number of technical defenses, including amongst others, an argument that the brothers had adopted the wrong procedure and should have made use of application forms promulgated in terms of s5(1) applications for naturalisation to make their s4(3) applications; that s4(3) only applied to people born after 1 January 2013 (the date on which the provision took effect); and that their births had not been correctly registered for the purposes of the requirements of the Citizenship Act. Relying on the recent decision of the Supreme Court of Appeal (SCA) in Minister of Home Affairs v Ali (1289/17)  ZASCA, in which the SCA was faced with an almost identical situation, and in which it rejected the argument that s4(3) only applies to persons born after 1 January 2013, Judge Seena Yacoob dismissed all the DHA’s defenses and handed down a far reaching decision in which she ordered the Minister to grant the brothers citizenship within ten days of the order of the Court. Two aspects of the Court’s judgment in the Jose matter bear noting. First the Court soundly rejected the argument put up by the DHA that the brothers had failed to meet the requirements of s4(3) because their births had not been entered onto the population register and thus had not been correctly “registered” in terms of the Births and Deaths Registration Act (Registration Act). The Court held that in terms of the relevant provisions of the Registration Act (which distinguishes between the registration of the births of SA citizens and foreigners temporarily “sojourning” in SA), the mere issue of a birth certificate suffices as the registration of the birth of foreigners temporarily resident in SA. In doing so the Court pointed out that only the particulars of SA citizens and permanent residents are entered onto the population register and emphasised that s4(3) of the Citizenship Act does not require a person’s details to be entered in the population register nor does it require that a person have an identity number. On the contrary, all that s4(3) of the Citizenship Act requires is that the birth be registered in terms of the Registration Act. In so finding the Court observed that, given that s4(3) of the Citizenship Act only applies to children of non-SA citizens / non - permanent residents, such children would never be entitled to be entered into the population register and as such, if the DHA’s arguments were accepted, nobody would ever be entitled to citizenship under s4(3) even if the other requirements of the Citizenship Act were met. This would of course defeat the very purpose of the provision. Second, in a finding which has far reaching implications, the Court rejected the argument put up by the DHA that s4(3) only confers a right to apply for citizenship and does not confer a right to citizenship itself, and that accordingly the Court should remit the applications back to the Minister for his consideration. In rejecting this argument, the Court found that where an application in terms of s4(3) meets all the requirements of the subsection, there is no room for the exercise of a discretion and no basis upon which such application could be refused. In the instant case the brothers’ applications did meet all the requirements, and accordingly this was an instance in which there were exceptional circumstances which rendered it appropriate that the Court order that the applications be granted. In so finding the Court held that where an application is brought in terms of the Promotion of Administrative Justice Act (PAJA) for relief related to the failure to take a decision (as in this instance) s8(2) of PAJA empowered a Court to make any order that was just and equitable, including ordering the administrator to do anything which may be considered necessary in order to do justice between the parties. In the instant case ordering the Minister to grant the brothers citizenship was in the interests of justice. This decision is a triumph for a whole category of individuals who have been battling to enforce their right to citizenship (a profoundly important right) that Parliament chose to afford them as far back as 2010 when it passed the Citizenship Amendment Act. It is yet to be seen if the DHA will take this judgment on appeal, but it remains one which shows a willingness on the part of the courts to come to the aid of individuals who are born in SA and who know no other home.